Living in the Old City of Jerusalem for eighteen months was enough for me. While I’m eternally appreciative of Jerusalem, it is loud and overcrowded; the Old City is no exception. However, there is no more significant religious or cultural place for the Jewish people than the City of Gold. The Kotel, the wall that millions upon millions of people visit year round to celebrate, mourn, plead for answers and show gratitude, is the modern epicenter of Jerusalem’s Jewish importance. This is why the latest attack on Israel’s right to Jerusalem, that Israel has no claim to the Kotel, is not just a political chess move but an affront to the Jewish nation. Those who decry Israel’s attempt to hold on to Jerusalem claim that Israeli refusal to cede ground in the city is an obstacle to peace. However it is the inability or unwillingness to acknowledge the inextricable link between the Jews and Jerusalem that is peace’s true impediment. 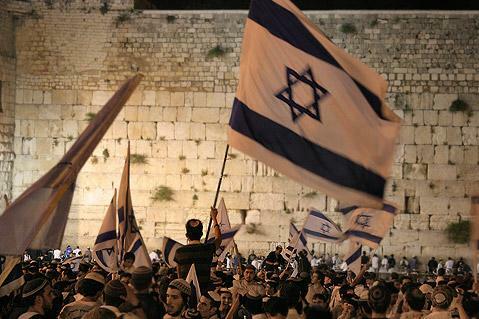 The Kotel is the heart of Jerusalem, which is the heart of the Jewish people. Extricating one from the other is not an option. Jews have laid claim to the Temple Mount, along with the rest of Jerusalem, since it was conquered by King David over 3,000 years ago. The Western Wall served as one of the outer walls of the Temple mount, built by King Solomon and rebuilt after the Persian Exile. It’s no secret that Jerusalem plays an integral role in Jewish religious practice and culture–but its religious significance tells only part of the story of Jerusalem’s importance to Judaism. Jerusalem’s legendary history serves as an ever-present metaphor for the trials and triumphs of the Jewish people. Jerusalem, the Old City in particular, has been besieged and sacked numerous times throughout the ages. Yet, somehow the City of Gold has always hung on, if only by a few threads, to rise from the ashes and rebuild. The recently rebuilt Hurva, a massive synagogue in the Jewish Quarter that was destroyed during the War of Independence, is a primary example of Jerusalem’s persistence. Until it was restored to its original glory, those who wished to pray at the Hurva prayed at its ruins. The Jewish nation has similarly survived repeated persecution and attrition, if only by its bootstraps, to regroup, rebuild, and live on. At the end of every Passover seder we exclaim, “Next Year in Jerusalem.” This is not an aspiration for a destination weekend, but an expression of the sheer longing for salvation. And “Im Eshkacech” the hymn sung at every Jewish wedding and many other times proclaims, “If I forget Jerusalem, let me forget my right hand.” This important hymn equates Jerusalem with the courage and force of the Jewish people, as represented by the powerful right hand. Jerusalem also houses numerous paradoxes, which symbolize the conflict within every Jewish soul. The name “Yerushlayim” has within it the word shalom or “peace.” Yet, the Old City is surrounded by fortified walls that serve as a safeguard to its most precious landmark from war. Judaism is beholden to an undercurrent of tension between love of peace and a need for strength and self-preservation. The paradox of Jerusalem is in fact the paradox of the Jewish people. Very proud of all the articles you have written. Keep them coming. Hope the articles are reaching those who need to be reading them. Some people need a kick in the pants to help them wake up. Well put.you make many valid and important points. Thank you for your voice !!!!!! In an era, when world leaders say one thing to the media and the opposite behind closed doors, we need more voices like yours who aren’t afraid to speak the truth.